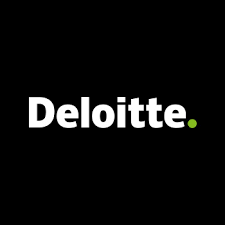 Deloitte is committed to making an impact that matters. One way we do this is by providing facts that can help shape the debate and the decisions that we, our governments and societies make for people. Working alongside four organizations we have developed the inaugural Youth Progress Index, which measures important non-economic factors impacting the quality of life of young people around the world. Young people are our future and this Index sheds light on areas of potential intervention that could improve their social progress. The Youth Progress Index is one of the first ever concepts for measuring the quality of life of young people independently of economic indicators. The framework is based on the Social Progress Index, which identifies social and environmental elements of the performance of countries “beyond GPD”. As such, the Youth Progress Index can be a significant contribution to the policy debate, including for advocacy, as well as scholarly research, on measuring performance of societies related to youth matters, and defining progress beyond economic achievements. The framework is structured around 3 dimensions, 12 components and 60 distinct indicators. The Dimensions (Basic Human Needs, Foundations of Wellbeing and Opportunity) represent the broad conceptual categories that define social progress, and Components are unique but related concepts that together make up each dimension. The Youth Progress Index ranks 102 countries fully, and a further 52 countries partially. The framework should be seen as an initial effort to contribute to measuring the quality of life of youth, despite the limited data available. It can be used as a mapping dashboard of public expenditures, civil society engagement and private sector investment. The framework can serve as a tool to better organize and structure strategic planning, as well as for in-depth explorations into certain societal idiosyncrasies and patterns. It is designed to monitor progress and evaluate success of policy investment. The Youth Progress Index is a joint initiative of the European Youth Forum, Deloitte Touche Tohmtsu Limited (Deloitte), the International Institute for Democracy and Electoral Assistance (International IDEA), the OSCE Office for Democratic Institutions and Human Rights (ODIHR), the Social Progress Imperative, and the International Organisation of Employers (IOE). These organisations are coming together to address the lack of reliable data on young people persisting both nationally and internationally, which affects not only young people themselves, but also youth practitioners and others who work to address the development needs of young people. To make policy that better reflects the interests of youth, better data needs to be collected and understood. Key findings of the Youth Progress Index executive summary are highlighted below. Overall, the Youth Progress Index has a positive relationship with economic performance (measured by GDP pc PPP). At lower levels of GDP per capita ($0-$10,000), a small increase in GDP is associated with a significant increase in the Youth Progress Index scores. Above $10,000, however, GDP becomes less of a determining factor of youth progress. Basic human needs and wellbeing: Overall, countries seem to be better at providing for young people’s basic needs, and giving them access to elements that can improve their wellbeing. Access to Basic Knowledge: Better scores in Access to Basic Knowledge component indicate better results across the Opportunity dimension. Inclusion however, remains a challenge. Access to Information and Communications: The better the performance on the Access to Information and Communications component, the better countries score on the Opportunity dimension as a whole. Digitalisation: Additional analysis using external factors associated with certain societal digital developments and civics, suggest there is a relationship between them and the YPI score, and specifically the Opportunity dimension. Given society is growing in technological capability, this data suggests inclusive internet accessibility, while no shortcut to youth social progress, may be an enabler. GDP and opportunity: There is also a stronger relationship between GDP per capita and Basic Human Needs and Foundations of Wellbeing dimensions than there is between GDP and Opportunity. The index covers 102 countries that are scored and ranked on three dimensions—basic human needs, foundations of wellbeing and opportunity—and twelve components. The results are calculated using 60 indicators of social and environmental performance specific to the youth population. The Youth Progress Index countries’ scores vary significantly across the globe. At the other end of the spectrum, for countries with sufficient available data to be included in the Youth Progress Index, Mozambique ranks last overall, and the Central African Republic takes last place in Basic Human Needs and Foundations of Wellbeing dimensions, while Guinea scores the lowest in the Opportunity dimension. However, interpreting these results is not as straightforward as the data implies. For example, that these countries have enough publicly available data to include them in the YPI is on its own a significant achievement. However, these results do indicate that out of the countries included in the YPI, these countries do not perform as well as others, implying the quality of young people’s lives is remarkably constrained by limitations and challenges. EU countries perform more uniformly compared to the rest of the world. This is particularly true for the Nutrition and Basic Medical Care component, where the difference between the best and the worst EU performer is minor. On the Personal Freedom and Choice component however, this variation is significantly higher. Participation in youth organizations: For EU countries, where Eurobarometer data is available on young people’s participation in various youth organizations, there is a positive relationship between young people’s involvement in activities of civil society organizations and performance in the Opportunity dimension. This suggests it is fundamentally important to promote active youth citizenship. Actionable: A practical tool that helps leaders and decision-makers in government, as well as business, to implement policies and programmes that will drive faster progress, and civil society to better focus and justify their advocacy. European Youth Forum – the platform of youth organizations in Europe. Representing over 100 national youth councils and international youth organizations from across Europe, the Forum, works to empower young people to participate actively in society to improve their own lives by representing and advocating their needs and interests and those of their organizations. They bring together tens of millions of young people from all over Europe, organized in order to represent their common interests. International Institute for Democracy and Electoral Assistance (International IDEA) - an intergovernmental organization that supports sustainable democracy worldwide. International Organization of Employers - the largest network of the private sector in the world, with more than 150 business and employer organization members. As the global voice of business, the IOE seeks to influence the environment for doing business. 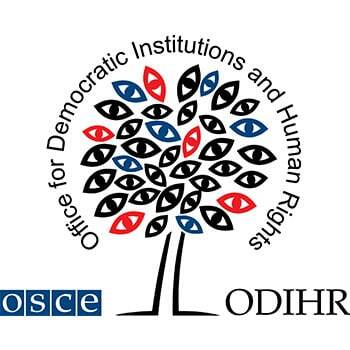 OSCE Office for Democratic Institutions and Human Rights (ODIHR) – the office which provides support, assistance and expertise to participating States and civil society to promote democracy, rule of law, human rights and tolerance and non-discrimination. 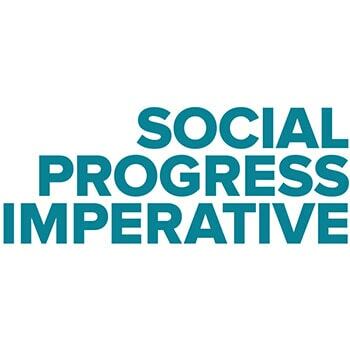 Social Progress Imperative (SPI) – a non-profit focused on measuring and advancing social progress. By creating innovative tools and working with partners in the Social Progress Network they are changing the way we solve the world’s most pressing challenges – redefining how the world measures success and putting the things that matter to people’s lives at the top of the agenda through its Social Progress Index.